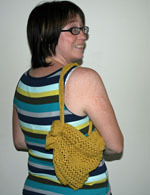 I knit a backpack! 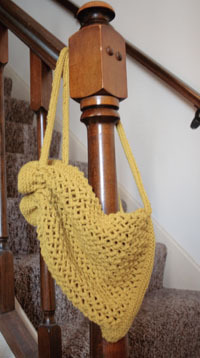 Since a lot of kids in my area are back in school today, I thought it would be a nice time to feature this project, even though the pattern is called the Super Summer Backpack from Lion Brand Yarn. It’s still technically summer, anyway. 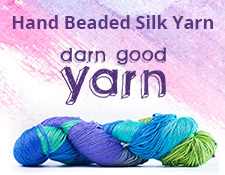 You can see my project details on Ravelry, if you’d like. I had fun knitting this project. I messed up the lace pattern a few times, but managed to recover. Otherwise, I’m very pleased with how it turned out. I always forget how to knit an i-cord, but, after some reminders and trial and error, I got it. The strap is one big i-cord, if you are wondering why I had to make one. I plan on filling the bag up with goodies for someone for Christmas, and I might knit one up for myself. It would make a great little tote for the beach next summer. Previous Previous post: New Doctor Who Tonight!